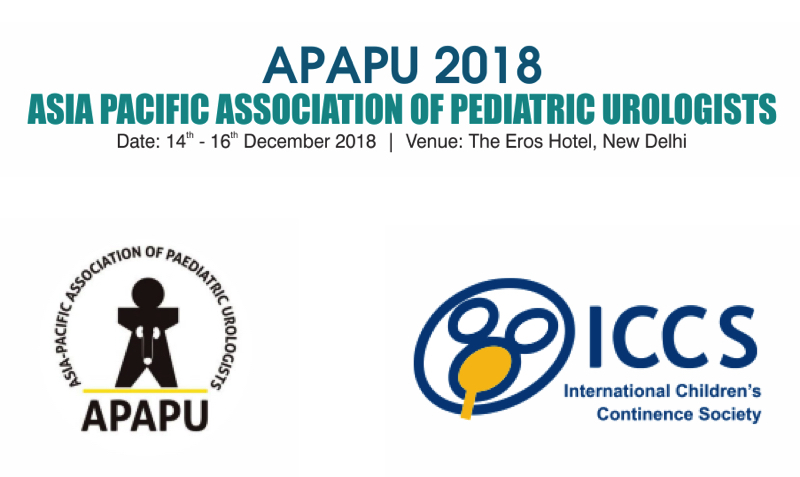 The 20th annual meeting of the Asia-Pacific Association of Pediatric Urologists is being hosted by Apollo Institute of Pediatric Sciences at Eros Hotel, New Delhi. This meeting will be held from December 14 to 16, 2018. The details of the meeting can be accessed at www.apapu2018.com. The meeting will also have a preconference, International children’s continence society (ICCS) certified course on Pediatric Urodynamics, Enuresis and Incontinence.